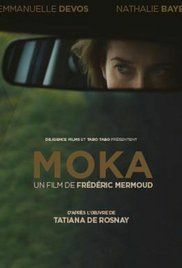 Moka is a 2016 Franco-Swiss psychological thriller drama film written and directed by Frédéric Mermoud and based on the novel of the same name by Tatiana de Rosnay. The film was shown in the Piazza Grande section of the 2016 Locarno International Film Festival. It stars Emmanuelle Devos and Nathalie Baye. Read more on Wikipedia.